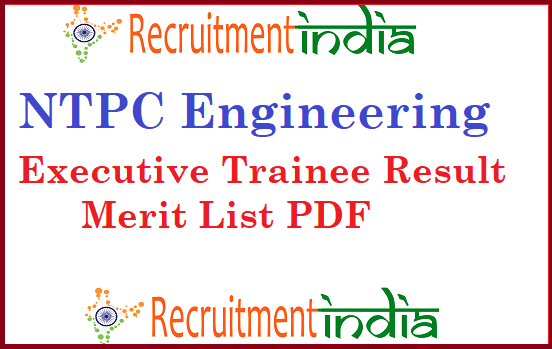 On the time of issuing the NTPC Engineering Executive Trainee Merit List PDF for the Candidates, the board has given the weightage details in which manner, they are going to issue the NTPC Engineering Executive Trainee Result for the selected Candidate. The weightage details like the 85% weightage of GATE-2019 marks, 5% weighting of GD mari<s and 10% weightage of Interview marks. The NTPC Engineering Executive Trainee Selected List is issued after the completion of all the selection Rounds and the selected Candidates names will only be given on the www.ntpc.co.in Result 2019 Links.